Like every year, TIMGlobal Media, publisher of a wide range of local and pan-European magazines, like IEN Europe, is exhibiting at the upcoming SPS IPC Drives Italy in Parma, Hall 5 Stand N012 from 23th to 25th May.Come and visit us to know more about our publications and services for the industry, and get more information about latest cutting-edge products! By bringing suppliers and producers together, SPS Italia stands out as a major opportunity for the Italian automation sector and a prominent calendar of conferences and special projects makes the show a valuable opportunity for researchers and students. Thanks to a very strong OEM sector, both for the performance and the quality of the machines it produces, Italy has historically been the 2nd European market for automation - in 2016 the sector grew by 7%. Attending SPS Italia is therefore the best opportunity to meet the market players - distributors, producers, manufacturers and suppliers - and establish successful business and technical partnerships. 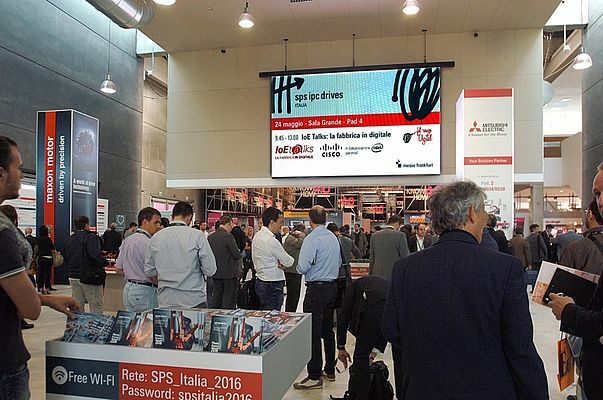 The next edition of SPS Italia shows a new exhibition layout. This new organization of pavilions will allow a more immersive exposure fruition, ensuring visitors two entrances to the fairground and balancing the visit flow to stands from the early hours of the day exhibiting.